Credit: Andrew Watson via Wikimedia Commons (CC BY-SA 2.0)While talk of a "digital divide" has faded in recent years, it turns out that this problem never really went away. A 2015 White House report estimated that 25 percent of people in the United States don’t have Internet service at home, while according to the FCC, only 48 percent of people making under $25,000 a year have broadband in their homes. So while most professionals are so accustomed to high-speed Internet that even a slight delay in page load time creates a white-hot ball of rage, poorer Americans are in a very different boat. An enduring digital divide impacts low-income households, residents in rural areas, and racial minorities the hardest, cutting these demographics off from social and economic opportunities such as finding and applying for jobs, completing homework assignments, being aware of current events, and applying for college. In short, lack of internet access puts a brick on populations already struggling under heavy obstacles. Comcast, a major cable television, Internet, and phone provider, has an idea for how to bridge the digital divide (and bring in new customers). The company offers a high-speed Internet adoption program, called Internet Essentials, that provides broadband access to low-income families for $9.95 per month. According to a five-year progress report, 750,000 U.S. families have received broadband access since the program’s 2011 launch, and 95 percent of families with children reported a positive impact on school grades. The Internet Essential initiative serves as a conduit for some of Comcast’s philanthropic efforts, including a new $15.3 million, multi-year partnership with the YMCA. We wrote earlier this year about the YMCA’s efforts to brand itself as more than just gyms and pools, given the organization’s extensive charitable work in community and youth development, and a presence in over 10,000 neighborhoods across the country. The YMCA’s For a Better Us campaign raises awareness about its work on pressing social issues at a time of growng concerns about economic and racial inequities. We've wondered whether the ad campaigns would translate into new funding for the Y. The answer, it turns out, is yes—but in this case, the funding is mostly for more public relations. The partnership with Comcast will give the YMCA a platform for its public service announcements (PSAs) in English and Spanish to reach lower-income communities and broaden understanding about what the YMCA actually does. "Closing gaps and increasing access to services that help kids and families reach their full potential is a key aspect of the Y’s mission," said Kevin Washington, President and CEO of YMCA of the USA, in last week's announcement. "Comcast shares our passion for social equity, and this partnership is evidence of that." While much of the $15 million will come in the form of in-kind contributions of air time for PSAs, Comcast is also giving small local grants to promote digital literacy and overcome the digital divide. Five regional YMCAs received $10,000 grants to support academic achievement programs to mark the launch of the partnership. Earlier that day, Comcast announced an additional commitment of $10,000 each to ten digital literacy nonprofits in the corporation’s hometown of Philadelphia, Pennsylvania. 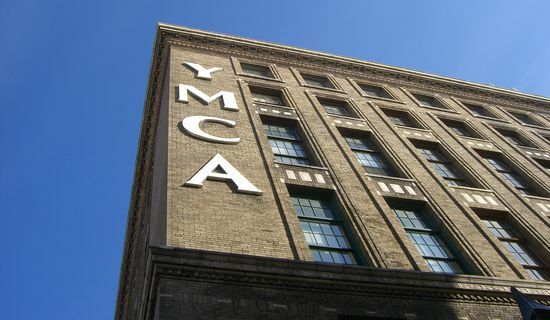 It makes sense that a corporation dubbed the “Worst Company in America” by Consumerist magazine in 2014 would want to create some goodwill and team up with a longstanding charitable institution such as the YMCA. But while Comcast’s Internet Essential program boasts some impressive results, we’ll be watching to see whether this new partnership can offer a measurable impact a few years down the road.